Cops on Film and TV provides a wide variety of advisory and consultation services for those involved with film and television productions depicting policing and criminal procedure. These former police officers’ wide-ranging wealth of experiences ensure authenticity, detail and realism. The information they impart gives an authentic and deep insight into UK policing which undoubtedly enhances the understanding and knowledge of those involved in production, writing and performing. Cops on Film and TV covers all areas of pro-active and reactive uniform and detective policing. Malcolm was born in Ilford on the outskirts of London and from a young age believed his destiny lay with the smell of the greasepaint after appearing as Dr. Bradman in Noel Coward’s Blythe Spirit when he was 16. At the age of 20 he began a thirty-year career with the Metropolitan Police Force and, after three years, joined the Criminal Investigation Department. In 1988 he was first posted as a Detective in Hackney. Malcolm has led high profile reactive and pro-active investigations as well as serving on Borough and Specialist Crime Units, including the Operation Trident gun and gang crime unit and the Technical Surveillance Unit where he managed high-risk covert operations. Malcolm also holds a Certificate of Education obtained whilst lecturing at the Detective Training School to outside intelligence agencies. In 2008 an ITV drama about one of Malcolm’s high profile investigations was filmed. He found himself assisting the scriptwriter of U Be Dead and advising the actor who portrayed him, David Kennedy. Malcolm has also worked with David Morrisey when he prepared for his role as a Detective Inspector in the Sky 1 Drama Thorne. Malcolm retired from policing in 2012 with a number of commendations to his name for leadership and detective work. He then undertook a year’s method acting course, acquired an agent and hit the ground running. 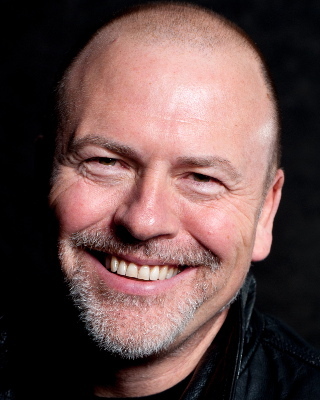 Malcolm has appeared in a number of commercials, short films and theatre including a season of Shakespeare appearing in Coriolanus and Henry V. He has also written and producing a short crime drama. Since retiring Malcolm has also been writing screenplays and has recently been performing stand up comedy in London. 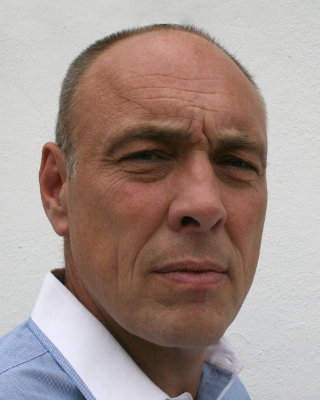 Paul served thirty years in the Metropolitan Police and recently retired as a Detective Superintendent. Throughout his exemplary career he headed investigations into a wide assortment of serious and organised crime on both corporate and domestic scales that spanned all levels of criminal enterprise. During his service he has worked in collaboration with local and governmental agencies and has vast experience in the importance of working together to achieve a successful outcome. He has addressed diverse groups spanning communities, cultures and backgrounds, developing excellent interpersonal skills in order to facilitate communication and to satisfy specific needs in a coherent and effective manner. Paul has a passion for writing and has so far completed two books based on his experiences and accomplishments. These stories relate to serious and organised criminality, firearms, gang violence and much more, offering a detailed insight into an undercover detective’s life policing the UK. Paul has a teaching qualification and a Master’s degree in Youth Justice, Community Safety and Applied Criminology, giving him theoretical expertise alongside his practical experiences in criminal activity and community needs. He is a visiting university lecturer for Law and Criminology students where he discusses theories on criminal activities and safety within communities. I worked with Malcolm on The Bay, and the time I spent with him and his associate was just invaluable to building a character and feeling confident -not just with procedure, but with the tone of communications with families and colleagues. I learned so much from them that wasn’t on the page, and that fed into my performance every single day. Malcolm was also always just a call or text or email away if I had a question or concern -and that direct line with the authenticity of what I was trying to do was just so important for me in terms of keeping it all grounded in the reality of the job. Can’t wait to work with him again!